It's difficult to explain, but sometimes when you preach a homily, you have the sense that God is doing something at that particular moment. Today at Mass, I just felt like the congregation and I were totally together, and stuff that is kind of complicated was made easy to all of us. In other words, the Holy Spirit took over and didn't let my limitations stand in the way. I didn't use a text, but this was the general idea. (I also need to thank Fr. Reginald Garrigou-Langrange whose writings helped me in my homily). In a couple of months, several of our number will be baptized at the Easter Vigil. We'll all be really happy for them. You'll applaud and congratulate them. I'll be all happy about it. But, why? Why will that make us happy? Same thing for an infant baptism. People get all dressed up, throw a party, take photos. But, why? Just because it's cute? Posing with Mickey Mouse is cute too. Is baptism any different? How many here have heard of sanctifying grace? Show of hands? Ahhh.....good, then that means I won't bore you by telling you something you already know. Okay, so on our own, we cannot get to God. Things are ordered towards their proper end. This piano is ordered towards making music. It's not ordered to get me to California. I can sit on that piano bench all day, but it's not going to get me to California. It's not ordered toward that kind of thing. Similarly, my natural capacities are not capable of getting me to know and love the supernatural. When I was in the seminary, I had this professor who would tell us, "If you don't remember anything else that I taught you, remember that the sacraments do something." If you didn't know the answer to a question, you could give that answer and it would, at least, diffuse the tension. The sacraments do something. The sacrament of baptism does something. It washes away sin. It also gives to us sanctifying grace. This grace makes us friends with God. It also infuses the soul with the theological and moral virtues, and the Gifts of the Holy Spirit. This is great, right? All of these things make it possible for us to live the theological life, the life of grace. On our own, no matter how hard we tried, we couldn't do this, but grace makes it possible. But wait, this is about to get so much better. Remember in the Old Testament how Moses goes up the mountain? Right, so he's up on the mountain and God gives him the Law. And what does Moses do? He brings the law down to the people and says, "Here's how God wants you to live. Now do it." But in today's Gospel, Jesus goes up the mountain, but he doesn't come down with a whole new set of commandments. He goes up and his disciples follow him up there. In other words, Jesus brings his disciples up to the beatitudinal life. I don't know if "beatitudinal" is a word, but it ought to be. So often, when we hear the beatitudes, we read them as though Jesus is assigning us a life of drudgery. "Okay, be poor, sorrowful, and persecuted a lot and your life will be great." It doesn't sound all that appealing, right? But the beatitudes aren't a bunch of burdensome commands. Jesus doesn't come down from the mountain with these new rules and say, "Well, good luck." Instead, he brings his disciples up the mountain. The beatitudes aren't really a bunch of commands. They are actually a description of the Christian life. St. Thomas Aquinas has this great schema where he associates each of the beatitudes with a gift of the Holy Spirit. In other words, these beatitudes are not some project for us to work really hard at. The beatitudes are the result of the Holy Spirit at work in the life of one who is living the life of grace. The first three beatitudes have to do with the beginning of the life of grace. "Blessed are the poor in spirit." Blessed are those who recognize their dependence upon God. They are not attached to possessions, their reputations, or honors. Their main concern is the Kingdom. The Holy Spirit gives the Christian the Gift of Fear of the Lord. We are no longer afraid of losing earthly possessions. Instead, we fear losing God. "Blessed are the meek". When we hear "meek," we often think "weak," but this is not the case. The meek person learns how to temper and control the passions within himself. You have to be strong to do that! In turn, the person who does this is able to deal directly but without vengeance and anger towards others. St. Thomas says that this beatitude of meekness comes from the Gift of Piety. Piety helps us to see that God is our loving father. Our devotion to our loving Father helps us to treat all other as brothers and sisters. Next is "Blesses are those who mourn." The Gift of Knowledge helps us to experience sin as the greatest of evils. it teaches us to weep for our sins and to be consoled by the knowledge of God's profound love for us. "Blessed are those who hunger and thirst for justice." This is when we have interiorly a profound desire that God be given all that is due Him and that, in turn, every person be given what they are due. The Christian so desires that justice be done, that they feel it as a hunger, a thirst. St. Thomas says that just like a miser never stops wanting more gold, so the Christian never stops hungering for justice. But, when we confront difficulties and obstacles, we can grow weak in this hunger. We can give up. Thus, the Holy Spirit gives us the Gift of Fortitude. This gift strengthens us and keeps us from ever being disheartened in the face of injustice. Now, if we are going to hunger for Justice, we must be cautious that this hunger isn't accompanied by bitterness towards the guilty and those who oppose such justice. "Blessed are the merciful." The Christian is inclined toward pardoning those who offend us and not brooding over past injuries. To help us, the Holy Spirit gives us the Gift of Counsel. This gift helps us to see what cure is needed in each situation. It opens our hearts to the needs of others. The next three are the Beatitudes of the perfect. "Blessed are the pure of heart." The pure of heart reflect the life of God. When we are pure in heart, we are free from mixed motivations and soiled intentions. When we are pure in heart, we already see in some way the beauty and goodness of God. This beatitude is assisted by the Gift of Understanding. We are given insight and clarity about the ways of God. Even amid trials and sufferings, we see the providential hand of God. "Blessed are the peace makers." I'm sure you've had this experience before in your life. You find yourself praying and suddenly you feel so loved by God and you experience a profound peace. This is the result of the Gift of Wisdom. When have this sense that no matter what might befall us, God has us in his hand. We can practically taste Divine things. This peace, however, is not just something we experience within ourselves. It overflows and shapes how we see everything, even painful events. Lastly, we have the beatitude, "Blessed are you when they insult and persecute you." This beatitude does not seem to have a Gift of the Holy Spirit unique to it. This is because it the most perfect of all the beatitudes. It is the culmination of all the others. When we have experienced all of these other beatitudes and their corresponding Gifts, we are willing to suffer for Christ because we are more confident in the beatitude that we are already experiencing than the menaces of the opposition. We are willing to suffer anything to be closer to God. I know I'm talking a lot today, but this stuff is so great, right? So, the temptation is to think that Christianity is all about us trying really, really, really, really, really hard to get to God. And the fact is, that really, really, really, really, really doesn't work. The Christian life is Jesus bringing us up to God by flooding our souls with His Divine life. So, what's the takeaway? I think the takeaway is to allow God to work in us. All of this works if we are in the state of grace. So, if you need to go to confession, go to confession. When we sin in a serious way, we lose sanctifying grace. Serious sin and the love of God cannot exist in the same soul at the same time. What does that mean? Does it mean we are doomed? It would, except that Jesus gives us the Sacrament of Penance as a way to have that life rekindled within us. The awesome thing is that if we sin and are truly remorseful, if we are truly contrite, Jesus can bring us higher up the mountain than when we fell. God is so awesome. So, the first thing is keep going to confession. Secondly, the best way we can grow in grace is to receive the Eucharist with ever increasing devotion and love. Every time we receive the Eucharist, we should receive it with greater love. So confession and devout communion. Pretty easy right? Friends, Jesus has brought us up the mountain and he is giving us the life of beatitude; the life of grace. Let's not stand in the way. Blessed are we, the Kingdom of Heaven is ours. Catholics and Meatless Fridays--Is It True? Oftentimes, it is the little things that make me happy. A few moments ago, two students stopped into my office to inquire about something they had been discussing. "Father, is it true that Catholics are supposed to abstain from meat every Friday or do some other form of penance in its place?" It's nice to know that there are young Catholics out there who are talking about Faith and Catholic life. After I told them they were correct, they asked, "Why doesn't anyone know this?" Another good question. Probably because we've become lax. I know that I have. It's also because nobody ever teaches it. 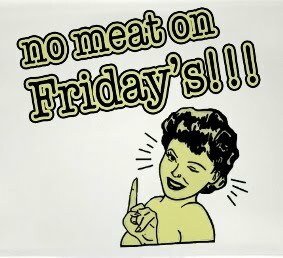 Although people got the message, "Catholics can eat meat on Fridays," they never got the second half of the message, "But they still ought to do some other penance in its place." There was something good, however, about Catholics all doing something together. In a way, the Friday abstinence unites us and is a good reminder that being Catholic just wasn't something you did on Sunday. Besides making us think about our Lord's Passion, a communal form of abstinence also links us together in a tangible way. As is often the case, when things like this come up in conversation, someone will say, "Well, I don't think you're going to go to Hell for eating meat on a Friday." That's nice. The two young men who stopped by my office don't think that either. I don't think that. But, I do think that I probably could be a better person if I did more penance in my life, mortified my senses more, and thought more about Our Lord's Passion. And, I know that I'd feel a deeper bond with my fellow Catholics if I were doing some simple act of penance together with them. If a situation arises when we have to eat meat on a Friday, then we find another way to do penance on that day. I bet all of us trying to live this small penance together would have a positive effect on our spiritual lives. We don't need the "Friday meat police." We don't need to make other people feel uncomfortable about our penance, to boast about our penance, or make them feel like they're doing something wrong by eating meat on a Friday. That would really defeat the purpose! It's not about other people. It's just a simple little custom that could help us in our spiritual life. Not eating meat on a Friday isn't a way of separating "good Catholics" from "bad Catholics." It is simply a small and tangible way for us together to think about Christ and what He accomplished for us on the Cross. The spiritual classic, "The Imitation of Christ," quotes Seneca who wrote, "As often as I have gone out among men, I have returned a lesser man." It's a bit of a harsh statement, but perhaps many of us can relate to it on one level or another. It's that feeling of emptiness that can come from being together, but really talking about nothing of substance or accomplishing nothing purposeful. It's that feeling of engaging in a conversation that leaves you emptier than when you began it. It's a sadness that comes from feeling as though you've lost some of your humanity as a result of interacting with others. Gossip, negativity, and grumbling can often have this effect. For the better part of a year, that's pretty much how I've experienced social media. Sure, there are the moments of feeling closer to people and sharing a good laugh or an uplifting story, but there's way more emptiness than fulfillment. Instead of social media bringing people together, it seems to be alienating them. It would, however, be unfair to blame social media alone for this alienation. Certainly politics has increasingly become more divisive, nasty, and angry. Social media becomes the place where people who are angry about politics try to make the people they disagree with angry too. But, it's not only politics and social media that are becoming instruments of division in people's lives. Sadly, the place that should be a safe harbor from the torrents of anger and division has itself become increasingly a battleground. With an ever increasing boil, the Church has become not a place of joy and peace, but a place of war, and social media becomes the field of battle in these wars. Every time I see a post about the Church or politics these days, I cringe because I know that if I read it, I will walk away a lesser man. If I comment on it, I will walk away even less of a man. Like many others, I like a good debate, but I realize that these online debates are not helping the Church or persons. Again, social media isn't the reason for the division. The divisions that are present right now in the Church are significant, but social media exacerbates them and makes them the face of the Church. The four marks of the Church--oneness, holiness, catholicity, and apostolicity--are being obscured by the division, hostility, pettiness, and self-inflated opinions of its members. Instead of being a leaven in the world, the Church, as it is seen on social media, is becoming a mockery. What am I to do? What are we to do? What are Catholics who feel like they are increasingly becoming lesser human beings because of their engagement with political and ecclesial realities to do? Should we withdraw from the world and its debates? Should we leave social media behind? Should we limit what we read? Should we disengage from the debates that are dividing the country and the Church? Maybe. Maybe we should. I don't know. But, I propose also another option. We ought to become men and women of communion. We ought to set as our highest priority in a world and Church that seems to be breaking apart, to be servants of communion. But, the priority ought to be on building up communion in reality and not just virtually. In other words, don't let social media replace real life. Eat meals with family and friends, go and pray with people, visit someone who is ill, go to daily Mass instead of scrolling through and sharing tweets, live in reality rather than living virtually. Instead of debating online whether the divorced and remarried should receive the Eucharist (an online debate that is unlikely to result in the truth being known, loved, and lived), go and visit the Blessed Sacrament or pray for someone in a difficult marriage or pray for the Truth to prevail. Pray for those who cannot receive the Eucharist. Pray that we always and only receive the Eucharist in the state of grace. Fast for someone who is suffering or for the unity of the Church. Strengthen the bonds that exist among your fellow Catholics. Live your friendships in reality and not just online. And of course, the way to deepen communion among others is for us to deepen our communion with the Lord through prayer, sacraments, and the Word. The world needs our personal holiness and our holy friendship more than it needs our social media posts. I am in no way saying that important things don't deserve our attention. I'm just saying that more and more, I feel like a lesser man when I go into the realm of social media. This is particularly sorrowful when it is a result of reading about the Church. Perhaps there are other people who go on social media and who leave feeling less of a person because of what they experience there. For their sakes, perhaps those of us who are Catholic can opt to be men and women of communion who bring to others something for which they are searching, meaning, fulfillment, and friendship. I don't know how to fix the hostilities that are present both in politics and in the Church. What I do know, however, is how to live true Christ centered friendship with others. The work of friendship, the work of communion, doesn't bring with it the immediate satisfaction of lots of "shares," "likes," and "retweets," but, as often as we act as men and women of communion, it makes others and us more--not less--of a human being. (And, the irony is not lost on me that I'm posting this to . 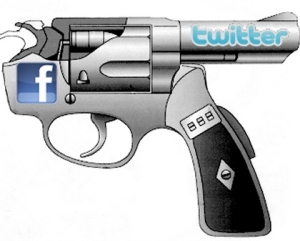 . . social media). Along the way, I've met priests who have no idea what day they were ordained a transitional deacon. Some older priest friends described it as, "We went down to the seminary chapel, the bishop ordained us deacons, and then we went to class." For me, however, the memory of my diaconate ordination is quite vivid. In fact, it happened twenty years ago this morning. I had been in the seminary for eight years at that point, so you might expect that ordination would have been approached calmly. I, however, was anything but calm. Since I was a kid, I had thought about being a priest. By high school, I was pretty confident that I would be. In seminary, while some guys went through daily machinations about whether they were going to stay or go, I was steady. I had an interior confidence that this was my vocation. Then, Fourth Theology arrived and I realized that I would soon be making promises that would affect my entire life. I was going to be ordained and would be forever a minister of the Church. There would be no going back. I began to wonder, "Did I get this right? Should this all have been so easy? Maybe I should have had lots of crises along the way. Why didn't I? Was the lack of turmoil along the way a sign that I had just been coasting along? I've sinned. I haven't been holy enough. Also, I know that Jesus demands that I give him everything and I bet I have no idea what that "everything" will include. I bet I'm going to make these promises and then realize just how big "everything" really is." It was a long semester. I remember standing in the kitchen one day with a priest and he said to me, "You know, you've been here for eight years. At each step along the way, the faculty has affirmed that you have all the signs of a vocation. It's not like you've done this all on your own. You should trust the Church." It was great advice. It calmed me down a bit, but even right up until I arrived at the Cathedral on ordination morning, I was still fearful. What was ridiculous about the whole thing is that I was taking the positive signs of a vocation and twisting them into negative signs. The fact that I had not spent eight years in a constant state of indecision was actually a good sign, but I was turning it into the opposite. On the morning of my ordination, a few seminarian friends drove me into the Cathedral. Before we got there, I asked them to pull over. I walked into an alley way and stood there by myself in the pouring rain. "Lord, this is it. I'm going to the Cathedral and I'm going to get ordained. If I'm not supposed to get ordained, now would be a good time for you to tell me. It will be a bit awkward for my family and friends who are sitting at the Cathedral right now, but that's okay." One of my friends who was in the car waiting for me to come back told me later, "I was sitting in that car and I thought, 'I don't think he's coming back.'" But, I did. And once I walked down that aisle, laid down on the floor, and placed myself under the bishop's hands, I've never had the fear that I made a mistake. And, that is saying a lot considering that during the past twenty years the Church in Boston has gone from one chaotic moment to the next. 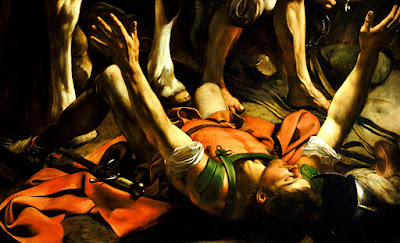 I am grateful that I was ordained a deacon on the Feast of the Conversion of St. Paul. Today, twenty years later, I am once again reminded that what is needed in my life is continued conversion. There was a beautiful line in the Office of Readings today. St. John Chrysostom, speaking about St. Paul, says, "The most important thing of all to him, however, was that he knew himself to be loved by Christ." Everything that St. Paul did, preached, and suffered was because he know himself to be loved by Christ. This love of Christ is what converted St. Paul. Twenty years after I walked down that aisle, I am grateful that I feel like things are just beginning. The love of Christ does not grow old. And, the love of Christ calls us all to a continued conversion. Christ is still asking for "everything." Recently, and quite unexpectedly, Christ once again put before me the question of this "everything." As priests, we can settle into our ways of doing things, our ways of living, our routines. We can settle on giving Christ a little less than everything. We can live as though the "everything" we gave twenty years ago was sufficient. But the reality is, what we gave twenty years ago was a promise to give everything always. Christ is always calling us to more. In order to know precisely what "everything" means for each of us and how each of us is called to give this "everything," we have to begin with a fact. This fact is at the foundation of everything. This fact sets us free from slavery and enables us to follow where God leads. It gives us the freedom to give everything. Even when we do not fully understand precisely what God is asking of us, if we begin with this fact, then we can trust that things will be made clear. God will not deceive us. This fact makes us willing to preach the full truth, to take up the Cross, and to strive toward holiness. This fact needs to be at the heart of all of our lives, especially the lives of those called to be Christ's ministers. This fact must be the most important thing of all to us. "The most important thing of all to him, however, was that he knew himself to be loved by Christ." The Psalm today at Mass was, "Here am I Lord. I come to do your will," and in the Gospel today, Jesus says "Whoever does the will of God is my brother and sister and mother." It is fitting that all this talk about "God's Will" should coincide with the liturgical memorial of St. Francis de Sales. I have a particular fondness for St. Francis de Sales. When I was in seminary, a statue of Francis was placed in a niche in the facade of the seminary chapel. When I would pray in the courtyard early in the mornings, I would ask for the intercession of the saints whose statues were in the courtyard and in the facade of the chapel. St. Francis, however, also is a favorite of mine because of his practicality. 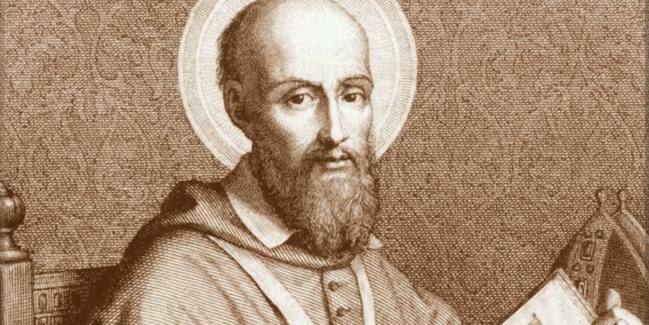 Francis de Sales makes it clear that the spiritual life is not abstract and complicated. His advice, writings, and direction are eminently accessible to anyone. Sometimes we tend towards overcomplicating the spiritual life. We act as though God is playing a game with us and making his will increasingly obscure to us. Then, we fear that we are going to make a decision that may ruin the rest of our lives if we don't get it right. This can lead to the problem that I see among a lot of people who wonder if God is calling them to a priestly or religious vocation. They become perpetual "discerners." Perpetual discernment is not helpful. 1. Don't waste your time discerning about precepts and commandments. "Feed the poor." No need to discern whether you should or shouldn't. Sure, it's okay to discern the best way to do it, but not "whether" to do it. Fornication? No discernment necessary. "Well, what if I really love her and we plan on getting married anyways?" Waste of time! Nothing to discern here. God says, "No." Why waste your time trying to "discern" a loophole? You can't discern your way out of what God has clearly commanded. 2. Don't waste your time discerning about things that are pretty much the same. "Should I visit the sick today or should I feed the hungry?" Well, both are good. If there's no major reason apparent why one should be done today over the other, don't waste your time discerning it. Just pick one and do it. "Should I go on a mission trip to Peru or to Haiti?" Sure, give it some thought, but don't become paralyzed by it. Make a decision and go with it. 3. When it comes to your vocation in life or other big things, firstly ask for the grace to love God's Will, whatever it is. Secondly, pray about the thing. Ask God to show you what he wants. Then, ponder what God has shown you by examining your life. Then, seek the counsel of two or three persons who are able to provide solid spiritual advice. Don't ask fifty people. Don't ask people until you find one who gives you the answer that you want. Then, choose. If you sincerely seek to do God's Will, nothing more is needed. But, once you choose, don't go back to discerning again. Put the hand to the plough and keep going forward. Don't daydream about what the other choice could have produced. Don't live and act in fear that maybe you made the wrong choice. I grant that my paraphrases are not worthy of St. Francis de Sales, but you get the idea. God wants us to know His Will. He's not hiding it from us. And if we seek to do His Will, he will bless us and give us grace to persevere in it. So, let's not complicate it. "Here am I Lord, I come to do your will." This past week, a wonderful friend of mine returned home to the Lord at 102 years old. I had the privilege to preach at her Funeral Mass today. Sophie was a remarkable Catholic woman and a good friend to many. Dear friends in Christ, today, we bid farewell to our sister and to our friend, Sophie. As we commend her soul to the mercy of God and commit her body to the grave, our hearts experience a mixture of emotions. We are indeed sorrowed that such a faithful friend--a friend who has always been with us--no longer walks in our company. There is no one in this church today who remembers the world without Sophie in it. For 102 years she walked along the road with us, and we are deeply sorrowed by her departure. Our sorrow, however, is assuaged and consoled by a peaceful and permeating joy. We look back upon Sophie’s life, her example, her friendship, and now even her death, and we are able to say with the two disciples from today’s Gospel, “Were not our hearts burning within us as we walked together on the road?” Today, our Catholic Faith--a Faith that Sophie practiced, lived, and loved--brings to us immeasurable consolation and joy. Sophie’s long pilgrimage of Faith began on the day of her baptism when she became a daughter of God and a disciple of Jesus Christ. For 102 years, Sophie--as a daughter, sister, wife, mother, grandmother, great grandmother, and friend-- has been following Christ and being perfected by Christ. Although Sophie has passed beyond our sight, our eyes are opened to the miracle that has taken place. All this time while we walked with Sophie, Christ was walking along with us. He was teaching us, loving us, and drawing us closer to himself. What made our walk with Sophie so amazing--what made our hearts burn within us--was that Christ was there all along the way! Whenever a new priest or seminarian arrived at St. Mary’s, after I showed them the church, I would walk across Cabot Street so that they could meet Sophie. Even this past spring, I was with a van full of college students on our way to a book discussion and I detoured so that we could all go in and say hello to Sophie. It is true, that in part, I would do this because I wanted Sophie to feel the closeness of others. But, it is also the case, that I wanted others to meet Sophie and to be moved by her example. In today’s Gospel, we can imagine the intensity of the conversation between Jesus and those two disciples. One of the things I always found remarkable about Sophie was how passionately she experienced everything. I always loved when Sophie would laugh so hard that she couldn’t catch her breath. When someone died or was diagnosed with an illness, Sophie would cry. She would cry intensely. She felt everything in life and she felt it deeply. I remember one time coming to visit her, and as I came through the back door, I could hear Sophie yelling. She was watching some congressional hearing on the television and she was red-faced and screaming at the television. At first, I tried to calm her down, but then it occurred to me, “She’s been like this her whole life and she’s in her 90’s, so maybe she knows something that I don’t.” Sophie lived life fully. She mourned with those who mourned and she rejoiced with those who rejoiced. As we look back upon her beautiful life and example, there must be something in all of us that asks, “Were not our hearts burning within us as we spoke along the road?” Does not her life and example awaken in all of us a deeper appreciation for Christ and His Church? Sophie was through and through, a Catholic. She loved her Catholic Faith. She loved the sacraments. She loved the Eucharist. She loved Jesus. She loved the Church. In today’s Gospel, after the two disciples are given the Eucharist, Jesus vanishes from their sight. That is because Jesus remains with them in the Eucharist. The two disciples race back to the upper room where the apostles are all gathered together and they recount what had happened to them. Sophie came to this church every day (when she was able) so that she could be fed by the Lord’s Body and Blood. And then, she would race back to her kitchen table and spend the rest of the day welcoming and feeding the countless visitors and friends who would gather at her home. There, around her table, people encountered Christ. Around her table, our hearts burned within us as Christ spoke to us. Through Sophie’s friendship, example, and charity, Christ was speaking to us and forming us. He was with us and our hearts burned within us. In today’s Holy Mass, we pray for Sophie. We pray that the fire of Christ’s love purify her. We pray that on the Day of Resurrection her body will be raised up. By praying for Sophie, we return to her the love that she showed to all of us. Dear friends, we too are all pilgrims making our way through this life. I consider it an extraordinary manifestation of God’s providential love, that he gave to us the privilege of Sophie’s companionship along this path. God wants all of us to love him and to follow him. This is why he sent his Son into the world. This is why he gave us our friendship with Sophie. Through her friendship, through her example, and through her witness, Christ drew near to us. He spoke to us. He made our hearts burn within us. After walking with us for 102 years, Sophie was called to the Father’s House. May she find eternal joy in the Heavenly Banquet. May she be warmly welcomed by all of those whom she served and loved throughout her life. More than this, I pray that we will neither waste nor squander the great gift that we were given. So many people in the world are looking to find meaning. They question whether life has any ultimate purpose or not. They don’t pray. They don’t have faith. They don’t receive the sacraments. They are lost and are searching for hope. They need a friend who will walk with them, who will bear witness to them. They need someone whose heart burns within them. They need someone to do for them what Sophie did for us. They need someone who, by word and by example, allows others to know the nearness of Christ. Our hearts are burning within us today because, through Sophie’s friendship, we encountered the Risen Lord Jesus. All of us, who have walked with Sophie, who have witnessed her Catholic example, and who have been blessed by her friendship, it only makes sense that we ought to do the same for others. It is not enough for our hearts to burn within us. Our hearts must burst open and share the good news. The two disciples did it on that first Easter evening. Sophie did it by her friendship and witness. And now, we are called to join our voices to theirs: Let all who are searching for meaning, all who feel distant from God; let all who are despairing, all who are trapped in sin, all who feel overwhelmed by weakness, emptiness, and fear; let all who are approaching the end of their own life and all who are only at the beginning of their life; let everyone know the news that will change their life, the news that changed our life. The news that made our hearts burn within us. The news that we encountered through the life of this good woman and this faithful disciple. Let all the world know this joyful and life-changing news. Yes Sophie, because of you, because of your friendship, because of your love, and because of your faithful Catholic life, because of you, all of us here today have hearts that burn within us and we are able to say with profound gratitude and with joyful conviction: "The Lord is Risen. We have seen the Lord!" Today I learned about a priest whose example of holiness is inspiring. Born into a peasant family in Austria during the early 1880's, Otto Neururer was eventually ordained as a diocesan priest. In 1938, while the Nazis occupied Austria, Fr. Neururer advised a young woman not to marry a divorced man who was living a notoriously dissolute life. Angered by her rejection, the man in question complained to a high ranking Nazi official who was his close friend. As a result, Fr. Neururer was arrested, sent to Dachau and later to Buchenwald. Despite being tortured mercilessly, he shared the little food he had with others. While in the camp, he was approached by another prisoner who asked to be baptized. Although Fr. Neururer suspected it was a trap, he could not refuse the request. After baptizing the prisoner, Fr. Neururer was sent to the "bunker" where he was hanged upside down until he died on May 30, 1940. He was the first priest murdered in one of the Nazi concentration camps. He was beatified by St. John Paul II in 1996. Blessed Otto Neururer suffered torture and death because he was faithful to the truth about the sacraments. To the young woman who came to him for advice, Fr. Neururer clearly handed on to her the truth revealed by Christ himself. This brought about his arrest, torture, and internment. To the man who sought baptism (perhaps as a way of entrapping him), Fr. Neururer obliged. For that, he was tortured and executed. The Blesseds and Saints are like lights shining in a dark world. By illuminating the right path, they keep us safe from obstacles, point us to the truth, and remind us that we are not alone. 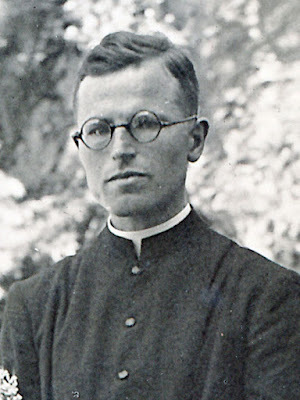 Blessed Otto Neururer, pray for us. This week, Fr. Michael Scanlan, T.O.R. died. I never met the man, but I, like the entire Catholic Church in the United States, have benefited from his vision, his fidelity, and his commitment to the evangelical mission of the Church. Fr. Scanlan, until his retirement, served as the President of Franciscan University of Steubenville. Dedicated to strengthening its Catholic identity, Fr. Scanlan transformed Steubenville into the heart of Catholicism in the United States. From this heart new life has been pumped into parishes, evangelical organizations, and youth ministry thought the US. Fr. Scanlan's Steubenville taught students to know, love, and serve Jesus Christ. The other day, I was speaking to a friend and I said that, in large part, anything great that has happened in the Church in the United States during the past twenty-five years can be traced back to one of three places: Steubenville, Denver, or John Paul II. While perhaps a slight exaggeration, it is fairly accurate. Steubenville shows that a Catholic college can actually . . . well, be Catholic. Steubenville formed a generation of young people who returned to their dioceses on fire for Christ. In turn, the fidelity to the faith and the devotion to the sacraments of these young men and women transformed parishes and ecclesial institutions. Under the leadership of Archbishop Chaput, Denver became a hub that welcomed Catholic men and women who heeded John Paul II's call to go out into the deep and risk everything on Christ. While many in positions of leadership in the Church were displeased with the zeal of a new generation of Catholics, Chaput sought to support them and to encourage them. It seems to me that Denver became the first outpost on the American shores for the John Paul II New Evangelization. And that brings me to the great St. John Paul II. In his preaching and in his writing, John Paul II called young men and women to greatness. This call to greatness touched the hearts of the young, but they needed somewhere to go in order to live this greatness. Thanks to pastors like Scanlan and Chaput, young people were given places, organizations, and communities where their zeal could be formed, trained, and exercised. 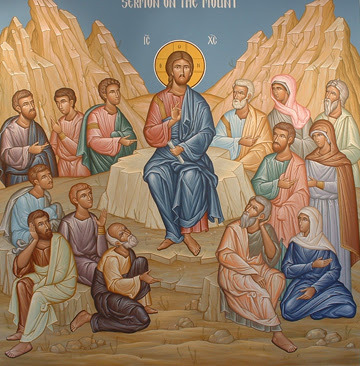 In turn, these young men and women were responsible for drawing others to Christ and for witnessing to the joy of orthodoxy. These three pastors--John Paul II, Archbishop Chaput, and Fr. Scanlan--understood that young people want to be called to greatness. They understood that young men and women can become disciples who risk everything for Christ. They understood that, as Bishop Barron has called it, "beige Catholicism" does not work. The reason Steubenville, Denver, and John Paul II were so effective in lighting a fire in the Church in the United States is because they were not afraid to propose the Catholic Faith in its totality. There was nothing watered down AND it was joyful. Where have priestly and religious vocations come from in the past three decades? From beige Catholicism or from orthodoxy? Where have well-formed Catholic marriages and families come from? Where have effective youth ministry programs come from? Where has Eucharistic devotion and devotion to the Sacrament of Penance come from? For the most part, wherever you find joyful and abundant Catholic life in the United States, you can trace it to Steubenville, Denver, or John Paul II. And, even in successful places where there is not a direct connection to one of those causes, the same characteristics of true life in the Church are still present, namely a joyful orthodoxy. 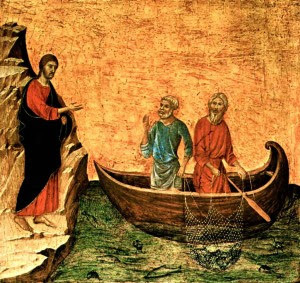 While many others were hesitant to go out into the deep, John Paul II, Scanlan, and Chaput risked everything on Jesus Christ and went out into the deep to cast their nets. Their pastoral example ought to encourage us to do the same. "Foyle's War," a British program whose main character, "Detective Chief Superintendent Foyle," investigates crimes in England during the Second World War and in the immediate years following. Both as a detective, and later as a member of the secretive government Security Forces, Foyle rankles many of those with whom he comes in contact. His honesty, integrity, and prudence often make him a source of annoyance not only to criminals, but also to various government agents who attempt to interfere with his investigations. Despite the best efforts of many, Foyle .....foils......their schemes. He does this not by being rude or belligerent, but by being doggedly faithful to his mission and by placing the truth above personal interest. Foyle is a source of exasperation because he often forces others to come clean and to speak clearly when they would rather obfuscate matters. Today, the Church celebrates the magnificent Solemnity of the Epiphany. It definitely is one of my favorite feasts of the liturgical year. There is something mysterious about these three Magi who follow a star in order to bring gifts to a newborn king. Indeed, like every episode of Foyle's War, these Magi are part of a great mystery, where not everything is clear. Throughout, however, they act with honesty, integrity, and prudence. No matter the external pressures placed upon them, they remain faithful to their original mission. They show up at Herod's palace attempting to find the Truth. They follow every lead. They follow the star. They follow the instructions of the scholars. They are dogged in their determination to arrive at the Truth. They are honest. They are clear and open about what they are seeking. Herod, however, is deceptive and manipulative. Herod thinks he sees "the bigger picture." But Herod's view of reality is actually petty. His view is about preserving his status, his plans, and his power. He becomes so blinded by his rage that it leads him, not only to deceit and to trickery, but eventually to mass murder. In the end, as we all know, despite Herod's deceptions, the Magi do indeed discover the Child of Bethlehem. St. Matthew tells us that "they opened their treasures before him." Again, the Magi are open and honest. They live their lives with integrity and clarity. There is something so refreshing about these men. In the midst of so much intrigue, deception, and violence, these men are unaffected. They know their mission and are faithful to it. Lastly, they are willing to accept the limits of their mission. When warned in a dream not to return to Herod, they simply "go home a different way." Their mission was not to fight with Herod. Their mission was to worship the Truth. In this, the Magi can teach us how to be prudent. Not every battle is ours. Sometimes, prudence demands that we simply go home a different way. Avoiding being entangled in every battle is not contrary to honesty and integrity. Herod did not "win" by the fact that the Magi went home a different way. 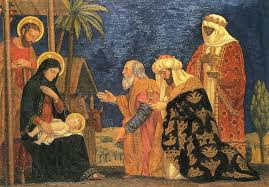 In fact, by withdrawing from Herod's schemes completely, the Magi frustrated Herod's attempts to harm the Christ Child. Clear-talking, honesty, integrity, fidelity to the mission, and prudence are tremendous virtues that we can all afford to cultivate in our lives. Epiphany reminds us that we are part of the great Mystery of the Incarnation. Our mission is to allow others to enter into this Mystery and to be transformed by it. The manner in which we communicate can either be of service to this mission or it can hinder it. We honor the Magi today because they were faithful to the mission and they arrived at the heart of the Mystery. More importantly, by their clarity in speech, their integrity, honesty, fidelity to the mission, and by their prudence, the Magi opened this Mystery up to the whole world. Their manner of life--like the brightness of the star--led others to Christ. Detective Chief Superintendent Foyle is a great character because the viewer always senses that Foyle's very first commitment is to make the truth known. As I celebrate the great Feast of the Epiphany today, I ask God to give me the graces necessary to live my life in such a manner that, like the Magi, I might not hide the face of Christ from others, but rather, I might make Him known. Perhaps we might all pray for such graces.